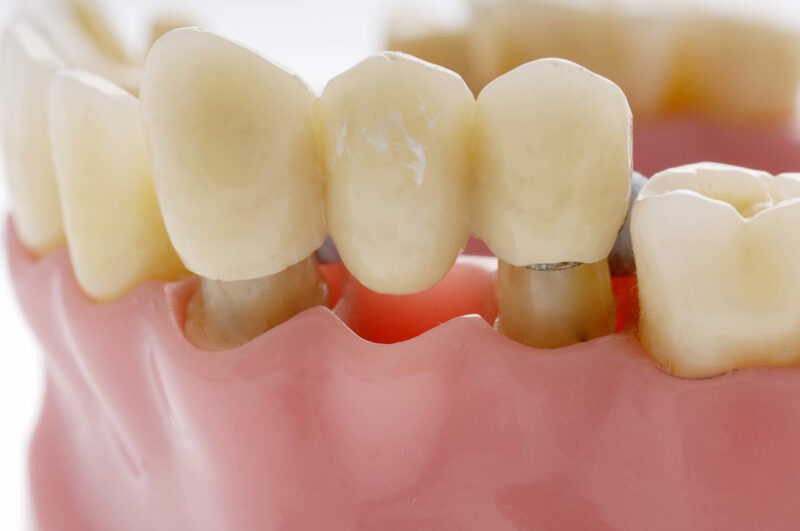 There are a number of options available to replace a missing tooth; one of them is a dental bridge which bridges gaps left by one or missing teeth. An artificial tooth or teeth (the pontic) replaces the tooth and is supported by adjacent natural teeth or implants (the abutment teeth). The pontic can be made from porcelain, metal (including gold) or a combination of these. the metal framework of the final bridge which will be tried-in at another visit. Inform your dentist if you experience any pain or discomfort. With good oral hygiene, a dental bridge can last up to a decade and even more.